Returning contributing blogger Wided Khadraoui currently works with Art Processors, a experiential design consultancy specializing in museum spaces, in marketing and business strategy. She previously managed a commercial art space for four years. She holds a MSc in Comparative Politics from the London School of Economics, and a MA from Central Saint Martins in Arts and Cultural Enterprise. She is passionate about technology’s potential to foster the inclusion of non-traditional and historically undervalued stakeholders and audiences in the creative sector. According to Census Bureau projections, people of color will become the majority nationwide by 2044. Yet American museums – their boards, their staff, and the people who visit them – continue to be far whiter than the American population as a whole. In 2015, the Andrew W. Mellon Foundation and the American Association of Art Museum Directors published the first-ever study of diversity in American art museums. It found that people of color represent only 28 percent of staff at museums around the country, and mostly work as administrators, janitors, and security guards, but are notably absent in decision making capacities. 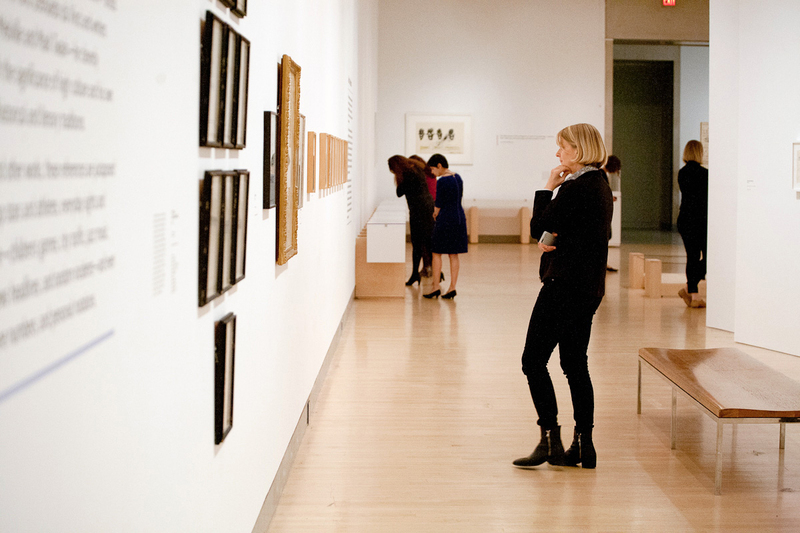 So while many museums, foundations, arts councils, and other cultural spaces have publicly committed to improving inclusivity and equity in the sector, current audience demographics suggest that museums have yet to meaningfully respond to demographic and cultural shifts and the subsequent demands for change. Despite the accelerated patterns of demands for representation, museums remain painfully inhibited. As author Aruna D’Souza notes in her recent book, Whitewalling: Art, Race, & Protest in 3 Acts, “What institutions hang on their walls or put on their pedestals is a clear articulation of who they imagine their audience to be,” emphasizing the importance of representation in the space. Museums today must be willing to explore “disruptive” ideas and hybrid forms of curating, programming, and outreach in order to improve who feels welcome attending them, and to increase their overall relevance to a discernible and competitive cultural consumer audience. Yet the sector’s evolution and progression convey almost a skepticism toward increased demands for representation and diversity in cultural spaces. Visitors at the Brooklyn Museum’s “Basquiat: The Unknown Notebooks” exhibition, 2015. Photo by EspoStudio. When perfunctorily engaging with the idea that change is necessary for survival, museums tout technology as a savior for institutions. But technology is ineffective within the current context. As Elizabeth Merritt, the founding director of the Center for the Future of Museums, succinctly stated in a recent interview, “the focus on technology masks that the major underlying changes are social, cultural, economic and environmental. They are related to the policies we create to regulate our world.” In short, museums have to adapt internally in order to survive. Future-facing strategies for survival, growth, and relevancy mandate expanding the museum’s ideas about their audience and their demands, and by extension more accurate representation of that audience in their spaces. While the conversation in cultural sectors promotes buzzwords like diversity, inclusivity, and equity, statistics reveal museums’ reluctance toward meaningful change that would disrupt the current status quo and introduce new diverse stakeholders into the fold. It is clear that museums are struggling to understand their public and how they relate to it—and how to be honest about who they see their public to be. The U.S. population is shifting rapidly and within four decades, the group that has historically constituted the core audience for museums — non-Hispanic whites — will be a minority of the population. Research suggests that 20-30 percent of the American public just don’t have museums on their radar; they assume museums are not places for them, so they don’t go. A first, necessary step is acknowledging that imagining the audience as a neutral, passive viewer is problematic. Attempting to think of museum visitors as a generic audience devolves into whiteness. According to a 2009 National Research Council report, “There is no cultureless or neutral perspective, no more than a photograph or painting could be without perspective. 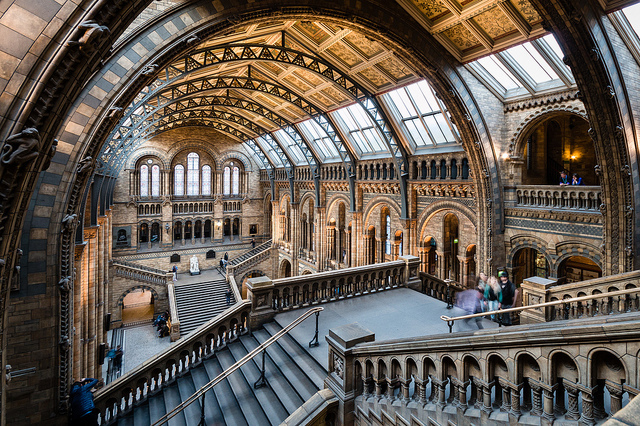 Everything is cultured, including the layout of designed experiences, such as museums, and the practices associated with teaching science in school.” Thus, the solution to conceiving museum audiences as multiples starts with internal stakeholder make up. In the past, however, museums have attempted to deal with the issue of diversity by focusing first on audiences, then on programming. Only recently has the attention shifted to leadership. Ian David Moss’s ten-year initiative, Createquity, was one of the first online publications to explore issues in arts policy, philanthropy, and research at a systemic level. Their research found that the more individuals feel reflected within the culture of a mainstream institution, the more comfortable that individual will be engaging with the institution’s programming. If diverse audiences are taking advantage, then that is the surest sign of success. Or, if that reflection is not taking place, a significant proportion of the population is being left out. The real goal of museums is not only to improve their engagement with different people but to also convert them to regular attendees. Technology is a tool to achieve this objective, but not the silver bullet. Significant solutions require more than increased digital engagement through posting on a social media platform or launching a new donor-backed app around a particular collection. Rather, they require diversifying the make-up of exhibitions and decision-makers behind the scenes. Meaningful engagement calls for change at the infrastructural level that trickles down to the programmatic level, which can then be disseminated by digital tools. Only by employing the power of diverse narratives can art museums utilize technology to play a formative role in generating new audiences through digital engagement.